Redland is a brand of the worldwide Braas Monier Building Group, the leading supplier of pitched roofing materials. Operating in the UK and Ireland, their goal is to deliver high quality roofing solutions that perfectly match customer expectations. We were invited to tender for their ‘Redland 49’ campaign, a roofing product that has defined the roofscapes of London for over half a century. 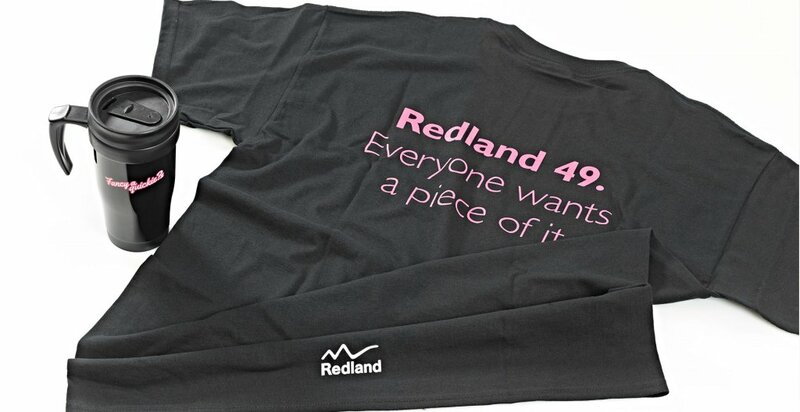 As we supply a range of some 50,000 promotional products, Redland had plenty of items to choose from. Once the selections had been made, we sourced the perfect thermal mug and T-shirt and worked alongside their creative agency to ensure the artwork was suitable for reproduction and as striking as it could be. 21,000 items were produced, spread over 3 versions, which were then distributed to 23 locations around the country. Our account management team‘s organizational skills proved to be vital in ensuring the campaign was a huge success.